One California city is reconsidering the wisdom of maintaining a rental inspection program, and appears set to repeal the ordinance which authorized it in the first place. The city council for Hesperia, California currently runs a rental inspection program that is all too familiar to landlords across the country — it requires annual inspections as a condition to renting, and charges landlords a fee to cover the costs. 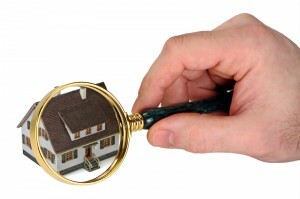 If any issues are flagged, the landlord must then pay for a follow-up inspection. According to a local news report, most of the council members who unanimously voted for the rental inspection ordinance five years ago have moved on. New council members are less comfortable delving into the private business sector. One called the program “an unnecessary redundant layer”, according to the report. Opponents have little support to maintain the program, and the news report indicates that a council vote for repeal is expected to be placed on the agenda later this summer. Local reporters found that Hesperia isnt the only city rethinking the rental inspection program. According to the report, Victorville considered implementing an inspection program, but ultimately rejected the proposal. The City Manager there told reporters that the inspection fees would have provided a means for more building code enforcement, but because research showed that vacant homes, not rentals, were a more common source of neglect complaints, the city leaders decided burdening landlords would be unfair.